One of the joys of making stuffed cabbage rolls, Lahana Sarma, is the prospect of enjoying the equally delicious Lahana Kapuska; Cabbage with bulgur, ground meat and spices. Lahana Kapuska, almost a sort of deconstructed cabbage rolls, is not only easy to make but also a great way to use up the left over cabbage parts when making stuffed cabbage rolls. Kapuska is a popular hearty stew and has many versions in Turkey. The name Kapuska is actually derived from the Russian language for cabbage and has many versions throughout Russia and Eastern Europe (Kapusta for instance is a wonderful cabbage based dish enjoyed in Poland). 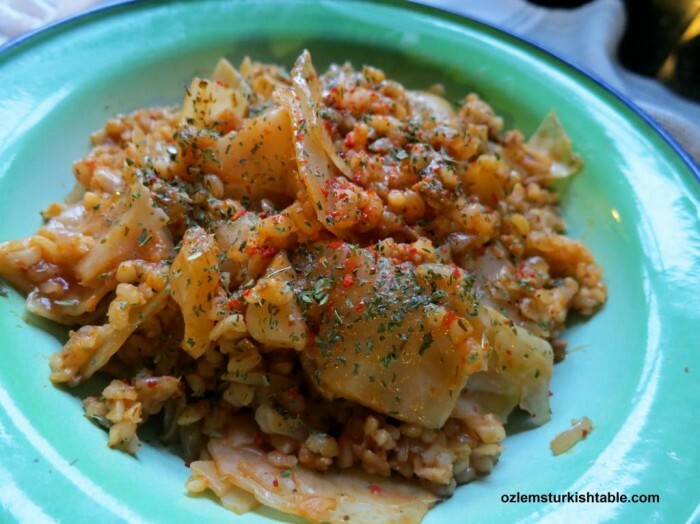 In Turkey, there are many versions of Kapuska with ground meat, chunks of meat, rice or bulgur. In Southern Turkey, we like to make Kapuska with bulgur, ground meat, onions, flavored with red pepper paste, dried mint and red pepper flakes. It is such a comforting and wholesome meal served with plain yoghurt; very easy too. For a vegetarian version, simply omit the meat. Turkish hot red pepper paste, Biber Salcasi, is a rich, delicious paste of juicy, spicy red peppers and we use it often in Southern Turkish cookery. You can make your own red pepper paste at home with my recipe if you’d like. If you prefer a milder taste, you can replace the red pepper paste with tomato paste in the recipe and sprinkle red pepper flakes to your taste. 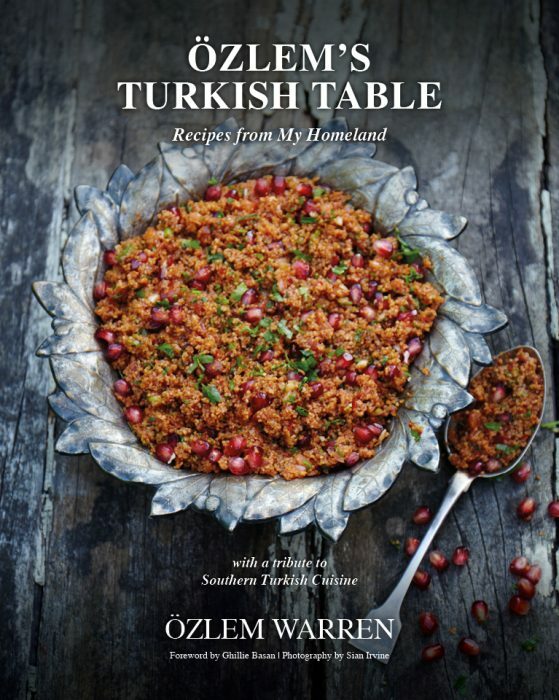 This delicious Kapuska recipe, along with many regional and popular Turkish recipes are included at my cookery book, Ozlem’s Turkish Table, available to order at this link. Kapuska is a popular hearty stew and has many versions in Turkey. 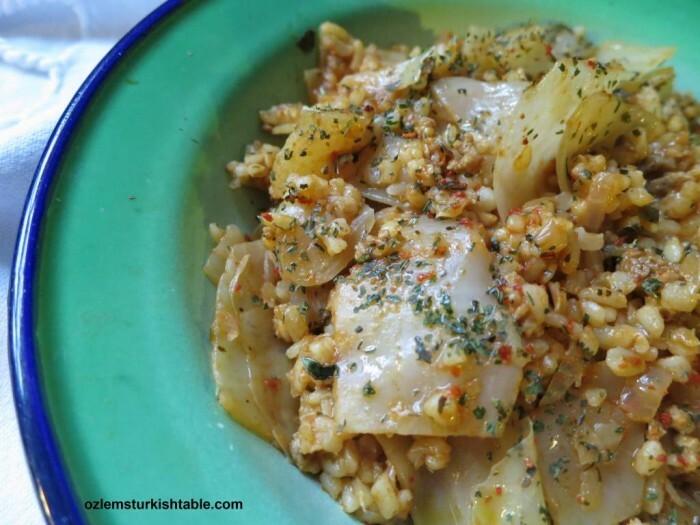 In Southern Turkey, we like to make Kapuska with bulgur, ground meat, onions, flavored with red pepper paste, dried mint and red pepper flakes. It is such a comforting and wholesome meal served with plain yoghurt; very easy too. For a vegetarian version, simply omit the meat. Heat the olive oil in a large pan and stir in the ground (minced) meat. Sauté for 2-3 minutes over medium heat. Add the onions and coarsely chopped cabbage to the pan and sauté for another 4 -5 minutes (their volume will shrink as they cook). Stir in the bulgur, tomato paste, red pepper paste and water. Combine well. Add the lemon juice, red pepper flakes and dried mint and season with salt and ground black pepper. Bring to the boil then cover and cook over low heat for 15 - 20 minutes or until all cooked. Serve hot, with sprinkles of dried mint and red pepper flakes over top and a dollop of plain yoghurt by the side. For the vegetarian version of Kapuska, simply omit the meat. Great recipe, Ozlem. Cabbage rolls can get labor intensive, I like this simple and delicious way to enjoy a classic. The red pepper paste remains a family favorite. Many hugs, Peri. Looks so delicious. Great dish for this cold weather we have been having. people look at me askance when I say that cabbage is my favorite vegetable but that is the truth of it. From Bubble and Squeak to stuffed leaves I love them all. That sounds a lovely, straightforward way of using the other half of a cabbage – I often seem to have half a cabbage left. Next time I’ll definitely know what to do. Thanks Phil, cabbage is so bountiful isn’t it and good to have a some options to make use, I am glad it inspired, hope you enjoy it. Tried your recipe at the weekend. DELICIOUS clean comfort food…. and very economical too! Thank you! Merhaba Kelly, delighted to get your note, so glad you enjoyed Kapuska! Indeed a very economical, easy comfort food, afiyet olsun! Merhaba from San Francisco, where I’ve just enjoyed making and eating your Kapuska recipe. Perfect for this cold, rainy night. After visiting Turkey last spring, I’m happy to see how accessible Turkish cooking is for a home cook. Merhaba Dan, thank you so much for your kind note, delighted to hear your enjoyed making Kapuska, hope it brings many happy memories of your visit to Turkey. Turkish cooking is really doable at home, so glad the recipe inspired. This was excellent! I was skeptical about 2 teaspoons of dried mint. However, the flavor is PERFECT. This is first rate home-style cooking. I will definitely be making this again. Thank you so much for your kind note Elizabeth, so glad to hear you enjoyed Kapuska! Love the refreshing taste dried mint brings, so glad you enjoyed it : ) Afiyet olsun, many thanks. Hello Ozlem! I just discovered your website searching for a gozleme recipe. This looks excellent as well, and I have all the ingredients already in my house! 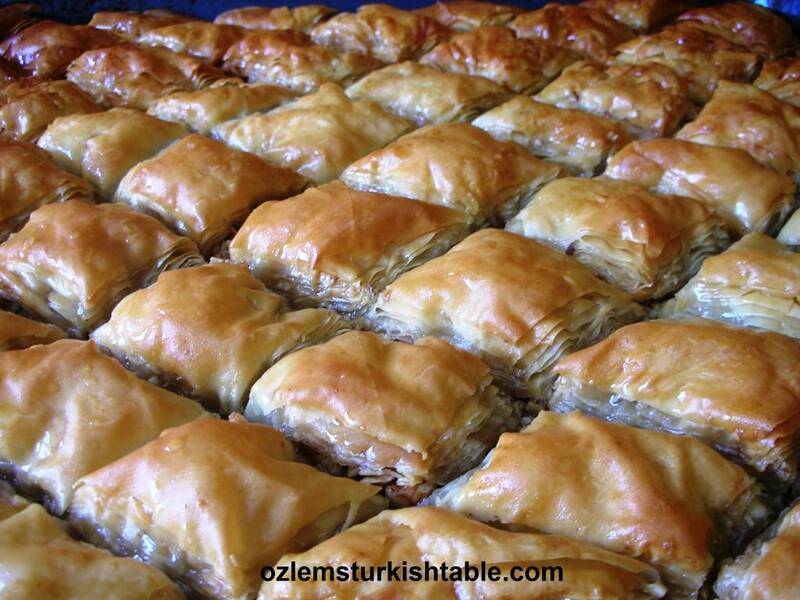 I traveled to Istanbul and Northern Cyprus a few years ago, and I must say that I fell deeply in love with the food. I can’t wait to try your recipes! 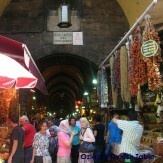 Merhaba Michelle, delighted to have you here; hope you enjoy my Gozleme and other recipes here and may them bring lots of happy memories for you, afiyet olsun! So glad you enjoyed it, many thanks for your note! Hi, this recipe looks great! But what kind of cabbage should I use? I dont cook with cabbage very often. Thanks! Has anyone tried the vegetarian version? Merhaba and thank you for this wonderful recipe! My friend and neighbour is from Sinop and has introduced me to all things Turkish! 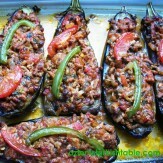 I love Turkish cooking and my friend is an excellent cook, her name is Emine. 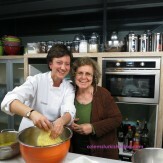 She is responsible for me finding your delicious recipes, many, many thanks! Many thanks for your kind mention, so glad my Kapuska recipe inspired your wonderful version!